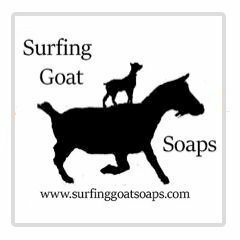 Surfing Goat Soaps - Boston GreenFest - Aug. 16-18, 2019 - FREE! Surfing Goat Soaps is part of Hames & Axle Farm, in Ashburnham, MA. Our little herd of nigerian dwarf goats provides the milk for us, and for your soap. 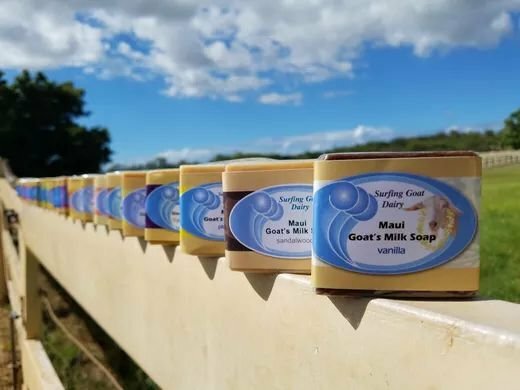 The farm will provide the honey, the herbs and the time that it needs to be the best goat milk soap and sundries we can produce, for you and for the planet. Our soaps contain only essential oils or other naturally found ingredients, such as honey, clays, spices, etc. We use only sustainably farmed oils, and our "Locavore" line contains milk, lard, or honey from our own farm. We strive to support our land and our local businesses. What makes our soaps special? Our goats, our choices, and the fact that you choose to support them with your choices. We are not what's special; it's the land, the planet, the goats, and your support. That's what makes us special.